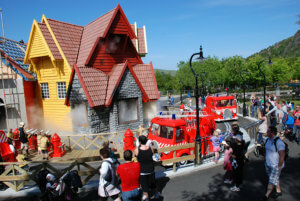 The GW Group produced a complement of special effects for Barnas Brannstasjon (Children’s Fire Station), the newest attraction at regional theme park Kongeparken, in Stavanger, Norway. 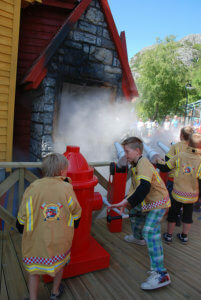 Barnas Brannstasjon immerses children ages 4-9 in meaningful role-play while teaching principles of fire safety and teamwork in an authentic setting. That authentic setting couldn’t be created without the help of Koolfog’s fire effects. We were excited to help create such an informative and fun attraction!